Is This Better Than Milk? On a chilly morning, when we need something filling but easy, when we feel the need for extra comfort: We have found this to be better than milk. Our Warm Vanilla Soother recipe has been around for a while. 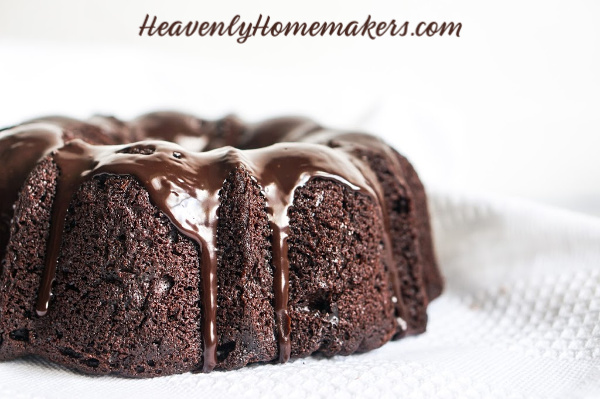 If you’re a Heavenly Homemakers veteran, you’ve likely tried it a time or three. But just in case you’re new, or in case you’ve been around a while but need to be reminded, we wanted to highlight our Warm Vanilla Soother today! Our 5-year old Bonus Boy is a milk-drinking-machine. He loves his milk, and didn’t bat an eye when he moved in with us and we started serving him our farm-fresh raw milk. He guzzles it down until we tell him “that’s all for now.” So I wondered how he’d like our Warm Vanilla Soother. Oh…he likes it. He likes it very much. And he likes the chocolate variety too. Who wouldn’t? So what’s better than a milk mustache (worn very often by our 5-year old)? A Warm Vanilla Soother mustache, of course. In a medium saucepan, whisk together milk, egg yolks, maple syrup and arrowroot powder. Cook over medium heat, stirring constantly (I use a whisk) until mixture begins to thicken. Pour into mugs and serve warm. Here are a couple other fun varieties we’ve created! If you live in a colder climate as I do, it’s recipes like these that are getting us through these “it’s almost spring but still very chilly” days. We will make it through until warm weather finds us! 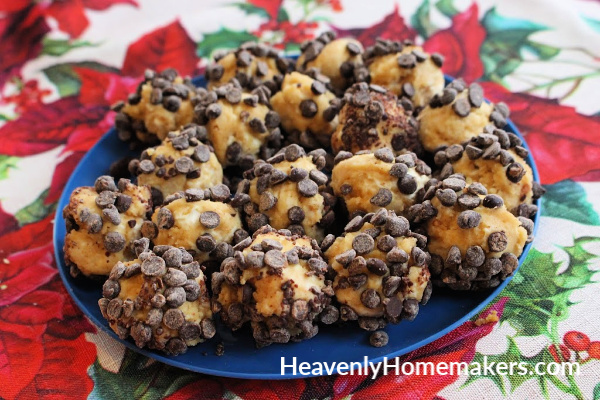 I served these Low Sugar Peanut Butter Cheesecake Balls to a group of college kids, wondering what they would think since they were made with stevia. Five out of five college students were none the wiser, and declared this treat to be delicious. After all, how can we go wrong when cream cheese, peanut butter, and chocolate chips are the main ingredients? 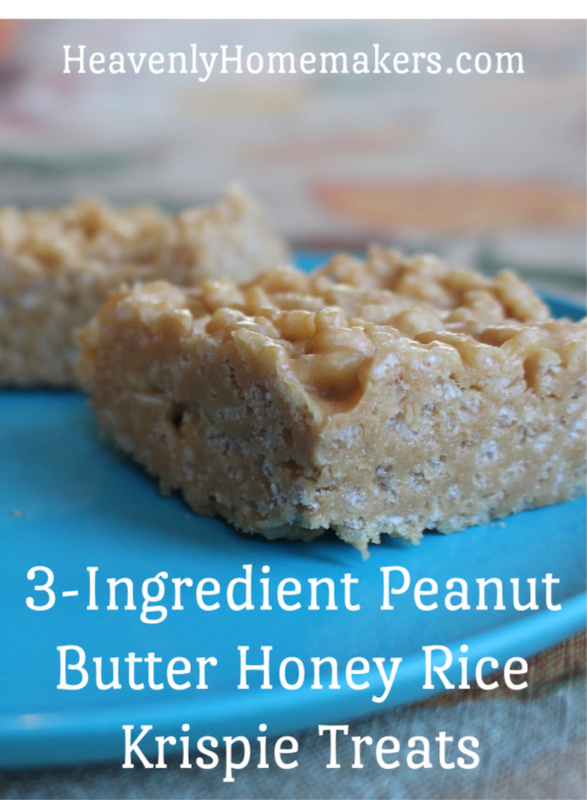 I love having several jars of Homemade Peanut Butter on hand to use in quick recipes like this one. And of course, I like having several packages of cream cheese in the fridge, seeing as cream cheese makes everything better. By the way, have you tried this Simple Cream Cheese Corn yet? Just when you think sweet corn can’t taste any better than it already does, you add cream cheese and it turns into a plate full of amazingness! 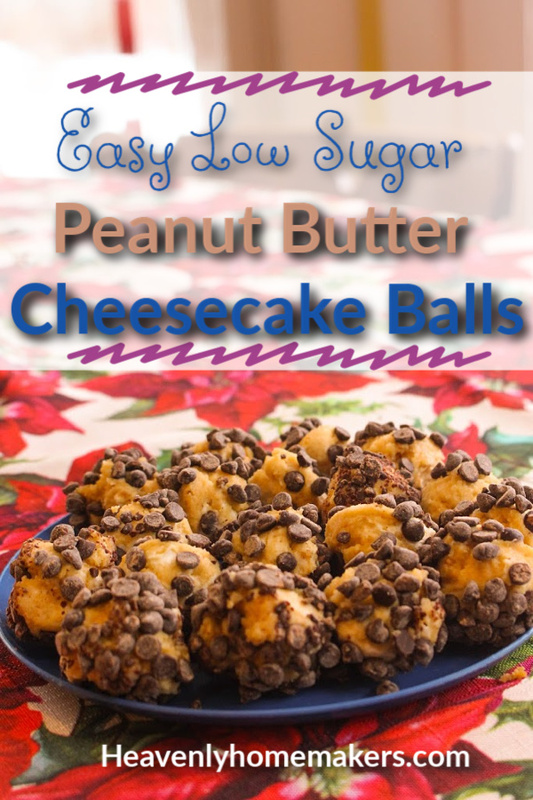 But back to the Peanut Butter Cheesecake Balls. Our 5-year old Bonus Boy and I were looking through Pinterest (a dangerous idea when you’re hungry) and found a recipe similar to this one. Since I had all the ingredients on hand to tweak it into a healthy treat for us, he and I got started mixing these up right away. Success! And according to college kids who didn’t know these were on the healthier side, no one can tell these are low in sugar. Double success! Stir cream cheese, peanut butter, and stevia together until well combined. Scoop out small balls of the mixture and roll the balls into a bowl of chocolate chips to coat them. Chill balls for at least one hour before serving. 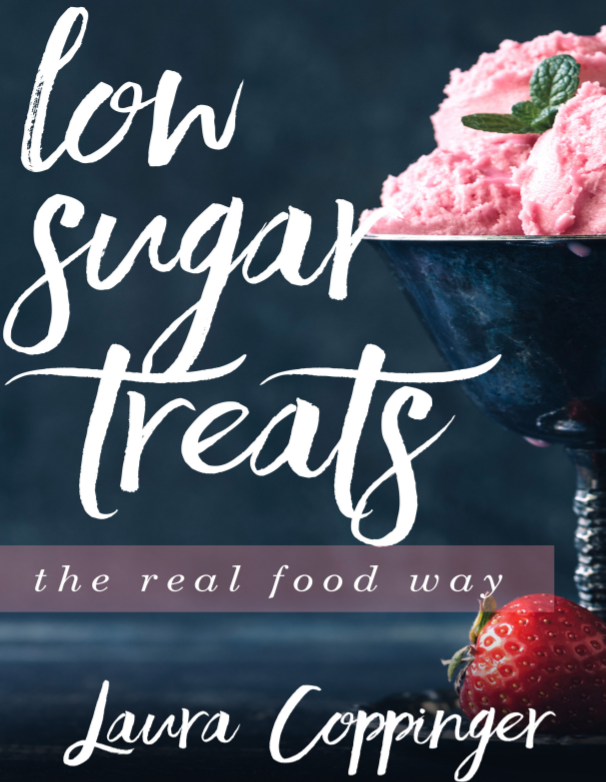 Want more Low Sugar Treat recipes? Want a special treat? 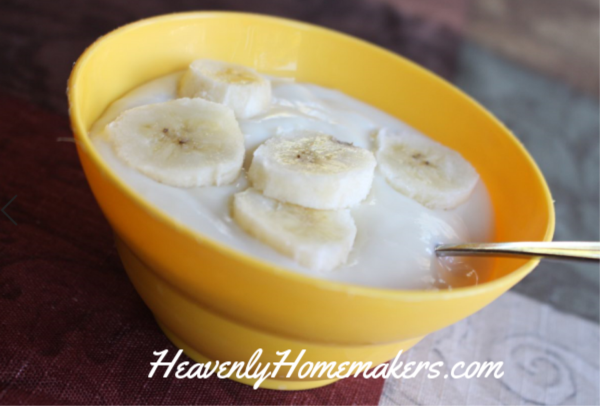 Try this Real Food, Real Easy Banana Pudding! Need a fun Banana Pudding Story before reading the recipe? Of course you do. Our 5-year old Bonus Boy has some speech challenges, which have been coming along quite nicely during the past few months. He works hard to make improvements and we make speech practice into a fun game. We found that he was capable of making bigger strides, but he continued to say some of his words and sentences in a lazy way, like when he asked for a banana. If he wanted a banana, he would say, “I nana.” Communication was established, but we knew he could do better. So we’d stop and make him ask in a full sentence. And we practiced and practiced on the word ba-na-na. Over and over, we tapped it out and had him say all the syllables. He got it rather quickly, but now he still breaks up all the syllables as if that is the correct way to say ba-na-na. It’s extremely adorable, and he’s 5, so we’re letting it go for now. All this to say: When making and eating this Banana Pudding, you must say it like we now say it at our house. Ba-na-na Pudding. Then you have to grin very proudly because you said ba-na-na correctly. Yay you! Would you like some Ba-na-na Pudding? Don’t mind if I do. 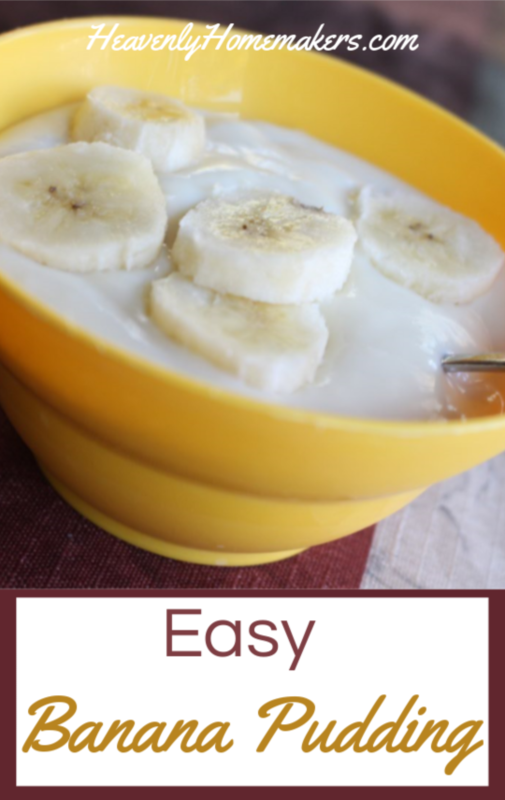 2 bananas, sliced into "coins"
In a medium saucepan, whisk together milk, egg yolks, maple syrup, arrowroot powder, and salt. Cook over medium heat, whisking/stirring CONSTANTLY until pudding begins to thicken. Stir over the heat for about 15 more seconds. Remove immediately from the heat, and continue to stir until pudding is creamy. Add vanilla and continue to stir until mixed. Pour into serving dishes, layering the pudding with sliced bananas. Serve with vanilla wafers if you like. Not that we can’t make a treat like this any day of the year. 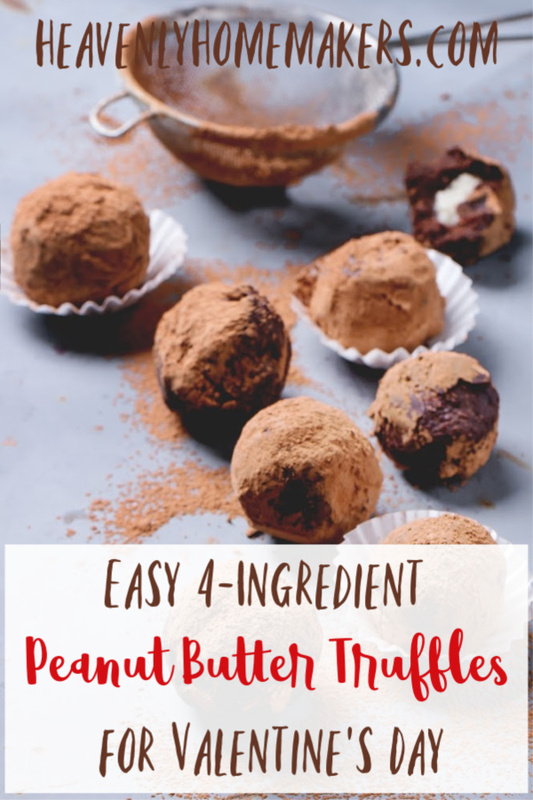 It’s just that these Peanut Butter Truffles seem best served as a special Valentine’s Day treat. Perhaps we should make a trial batch here in January though? And maybe remind ourselves how to make them sometime next April? Then again in August. All that to say, who am I to tell you when to make these truffles? I totally and completely support your truffle-making choices. I love how easy these are to make. I love that the only sugar in them is what is already in the chocolate chips. I love the peanut butter-chocolate combo. I love…well, love. So see? These are perfect to make for Valentine’s Day! In a saucepan stir together chocolate chips, cream, and butter over medium heat. Just as the chocolate chips have almost melted, add peanut butter and stir until smooth. Cut and roll mixture into 1 inch balls. Dip balls into cocoa powder if you like. 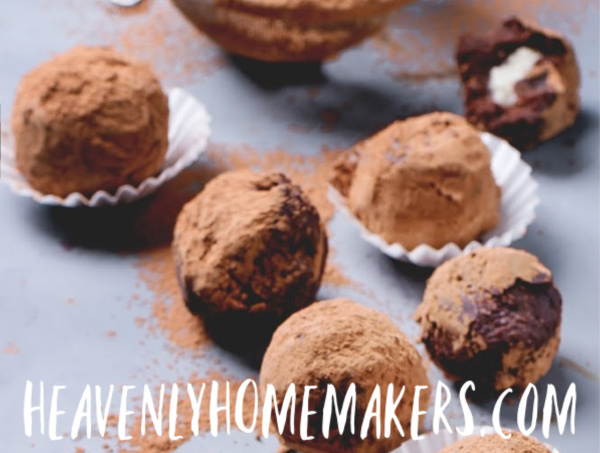 Roll these truffles in powdered sugar for a fun variety. And place them into holiday colored mini-muffin liners to make them festive! Here are many more Low Sugar Treats for you to enjoy! 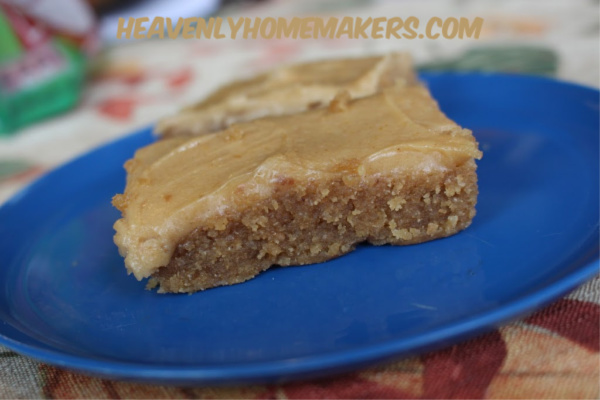 My first attempt at creating Low Sugar Peanut Butter Brownies actually turned out too sweet! This was shocking seeing as I had cut the sugar down tremendously from the original recipe I had found to give me the inspiration. I cut it down even more and voila. Peanut Butter Brownie perfection! I love that cutting down sugar in recipes still turns out awesome treats. These are as simple as can be, perfectly moist (as long as you don’t overbake them), and made even more fabulous because of the peanut butter whipped frosting we spread over the top. 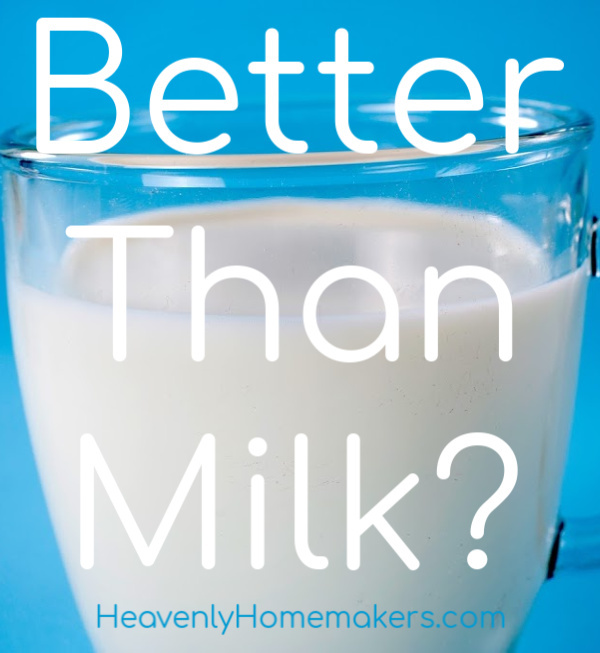 Make yourself a batch, pour yourself a glass of milk, sit back, and enjoy! In a small saucepan, heat butter and peanut butter until melted. Stir together melted butters and sugar in a mixing bowl. Add salt and eggs, mixing well. Fold in flour and stir until well combined. Spread batter into a 9x9 or 8x8 inch baking dish. 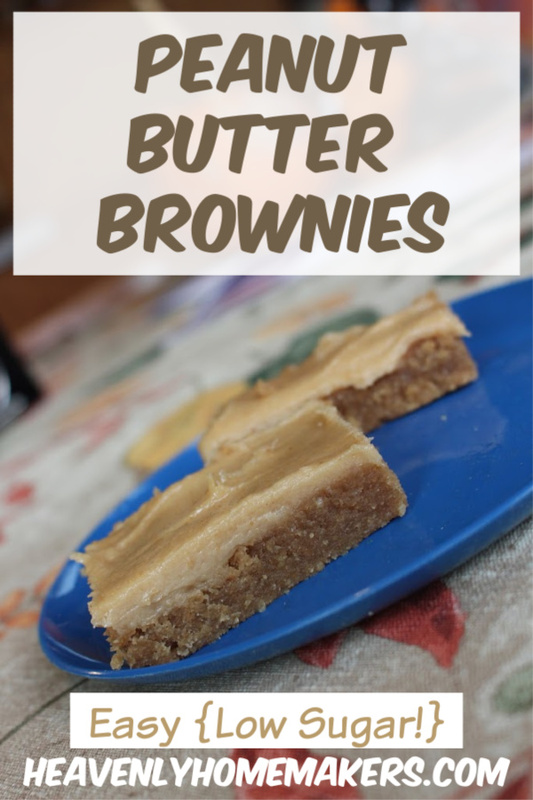 Bake in a 350 degree oven for 20-25 minutes or until brownies are lightly browned. Allow brownies to cool completely before frosting. In a high power blender, or in a bowl with a hand mixer, whip frosting ingredients together until thick and smooth. Spread over Peanut Butter Brownies. Is it just me, or can we all agree that when we add cream cheese to a recipe, it will become extra – top notch – amazing? 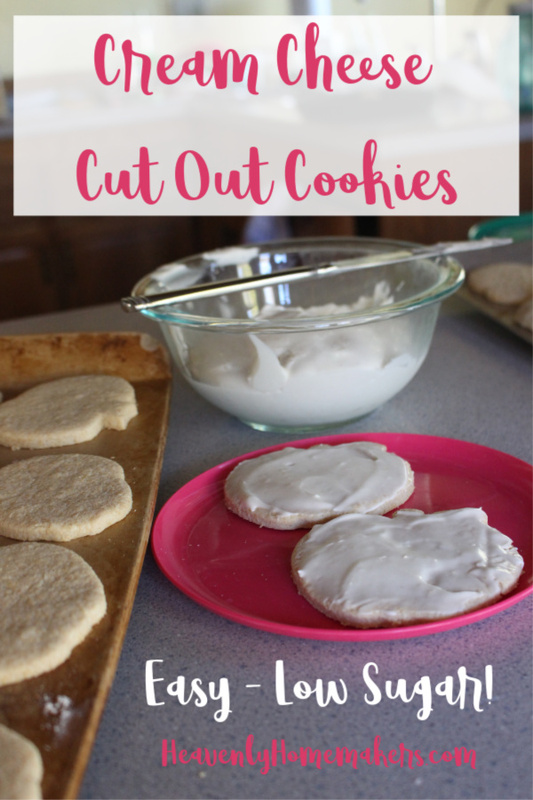 May I interest you, then, in these Cream Cheese Cut Out Cookies? Don’t worry – they are low in sugar. Oh, but also don’t worry – they still taste incredible! 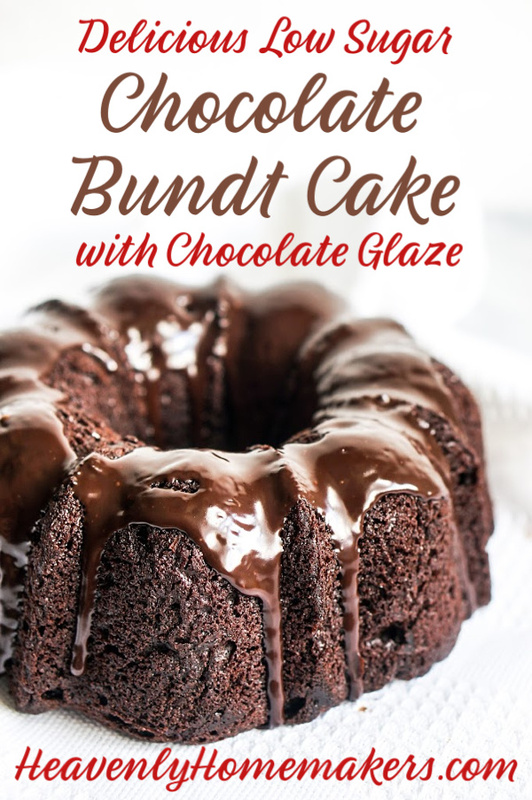 You’re going to want to add this recipe to your list of keepers! 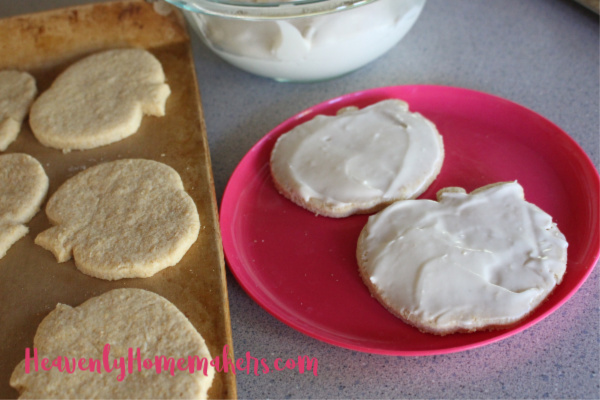 We make these Cream Cheese Cut Out Cookies for just about every holiday. Pumpkin shapes in the fall, trees and stockings at Christmas time, and hearts for Valentine’s day. If we’re really feeling crazy, sometimes we’ll make them randomly in June. It just so happens that we have a cookie cutter in the shape of Mickey Mouse. 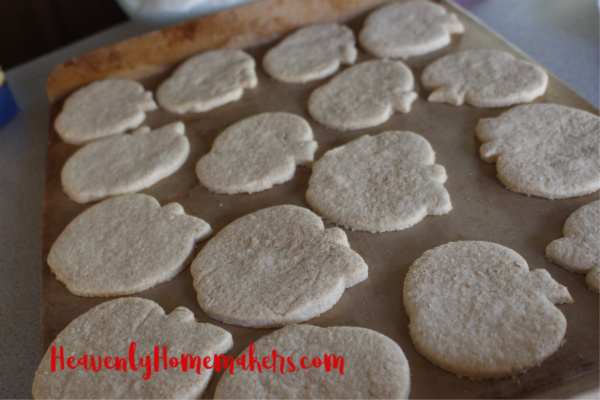 June’s as good a month as any to make a Mickey cookie. Stir together melted butter, softened cream cheese, and sugar. Add eggs, baking powder, and vanilla. Place dough in the refrigerator for at least two hours. Once dough is chilled, roll on a well-floured surface and cut out into desired shapes. 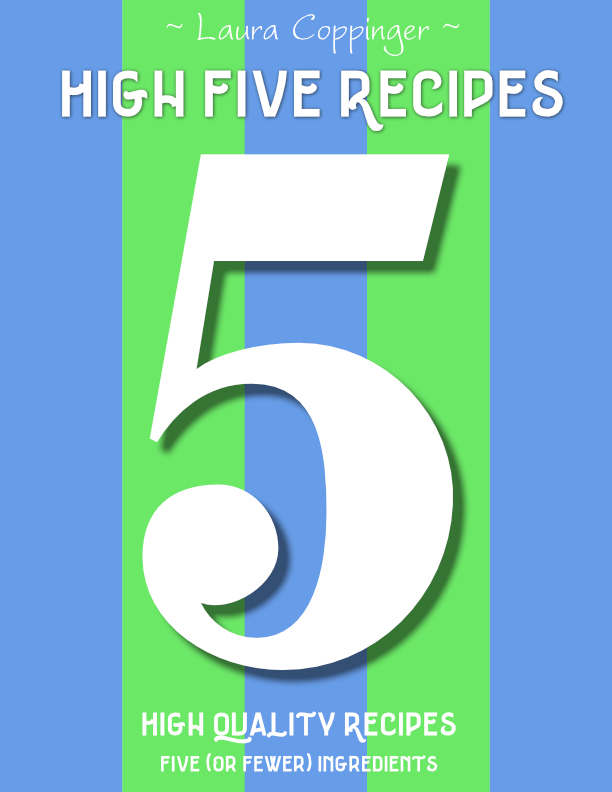 Want more Low Sugar Treat recipes? This awesome eBook is full of them! Whip butter and cream cheese with beaters until fluffy. Add vanilla and powdered sugar and beat until mixed thoroughly. Whip ingredients together until smooth. Frost cookies just before serving. In a small saucepan combine butter, cocoa, milk, and honey. Cook and stir over low heat until ingredients are well combined and mixture begins to thicken slightly. Removed from heat. Stir in vanilla. Spread onto cookies. Who needs sugar when you can eat butter? What I mean to say is, these Chocolate Chip Cookie Bars taste lightly sweet and deliciously buttery. What else can we possibly need? (Chocolate chips.) Ah yes. Chocolate chips. Well, I guess we’ve thought of everything. As many of you know, I’m not much into sugar anymore. But I do like a barely sweet treat to enjoy with my coffee. I’m not terribly picky. I think something is plenty sweet when it is only barely sweet. Much more sweetness than that seems like much too much these days. My kids think I’m weird about this (and at least a couple of other things) and have become a bit leery of my homemade “super low sugar treats.” If Mom is eating it, it must be one of those weirdo stevia sweetened things and it probably won’t taste as good as a candy bar. I beg to differ, but I also remember being a teen and liking my Twix and Pepsi. My picky kids aren’t always willing to try new foods, so I must be wise in how I present them. I am MOM, therefore I know more than they do (about everything except Fortnite). I know very well that they will like the treat if only they try it with an open mind. After all, did I mention the butter? And the chocolate chips? And there’s actual sugar in it, not stevia. It’s just that I cut the sugar from 1 1/2 cups all the way down to just a 1/2 cup. Just eat the cookie bars, kids. So they did. And they like them. Shocker. I snuck one later with my coffee, which made them second guess for a moment if they still liked them. Silly boys. Stir together melted butter and brown sugar. Add eggs, baking soda, salt, and vanilla, stirring well. Spread dough into an 8x8 inch baking dish. Bake in a 350 degree oven for 20-25 minutes or until golden brown. Allow bars to cool for 10 minutes before cutting and serving. Are your kids leery to try any of your “healthier foods” for fear you might be serving them something weird? Silly kids. 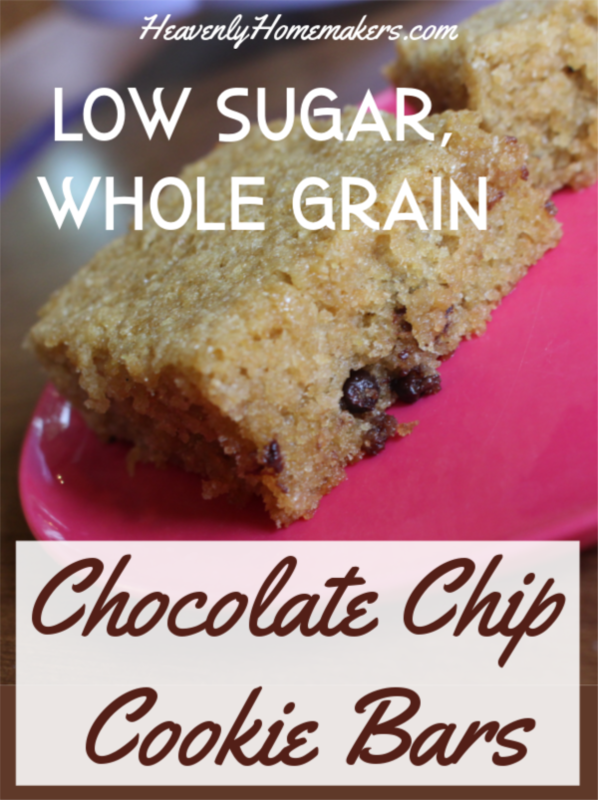 Here are many more Low Sugar Treats that I promise my kids like, so yours will too! Remember these awesome Raspberry Oatmeal Bars? 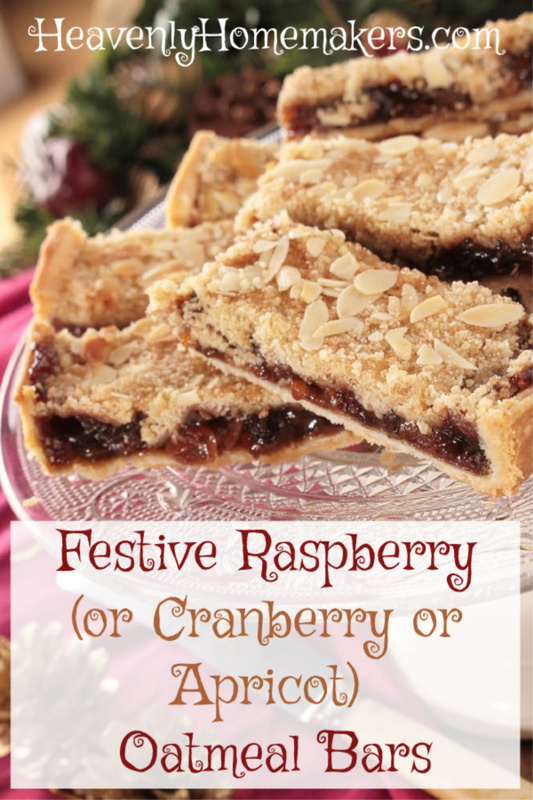 Seeing as they have red raspberries in them, that automatically turns them into a festive holiday recipe option, don’t you think? 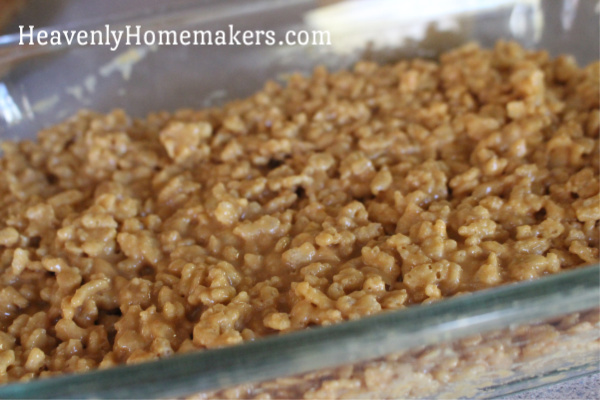 Now, keep in mind, any of your favorite fruits and jellies will work in these Oatmeal Bars! Perhaps you’d enjoy making a Cranberry variety for Christmas? We like Raspberry and Apricot best at our house. 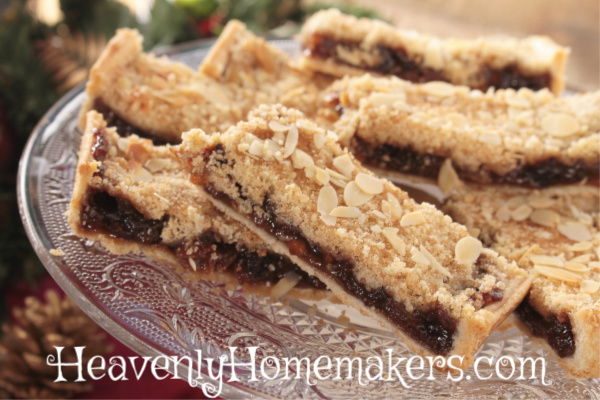 And if you top them with slivered almonds, you’ve got an extra special treat! When you look at the recipe, you’ll notice that there’s a lot of butter in these. YES. That’s why they are so delicious! Mix together flour, oats, sucanat, baking powder, and salt. Stir in melted butter until the mixture resembles crumbs. Press half of the mixture into an 8x8 inch baking pan. Spread jam over the top. Sprinkle remaining oat mixture on top of the jam layer, pressing down to cover. Sprinkle slivered almonds on top if you like! Bake in a 350° oven for 30 minutes or until lightly browned. Want to mix and match your flavors by using a variety of jellies? I’ve described how to do that here!